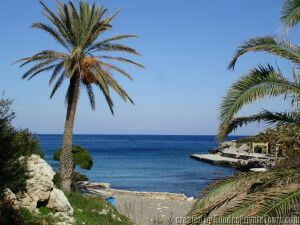 Kalithea is located about 8Km (4,970mi) from Rhodes Town on the east coast of the island. 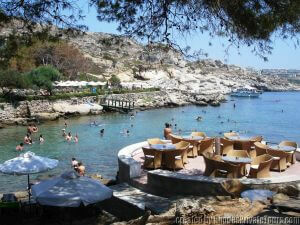 The Bay of Kalithea has long been famous for its healing waters that sprang from the surrounding rocks. 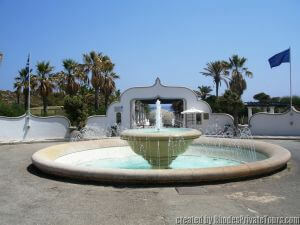 An extensive study of the waters began in 1927, while Rhodes was under Italian occupation. The results of the study proved that the specific waters at Kalithea Bay have a range of important properties, thus the development of the area was proposed. 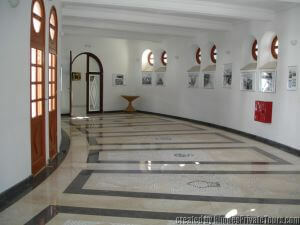 The famous architech Pietro Lombardi was appointed to plan the Thermal Spa Institution in 1928. 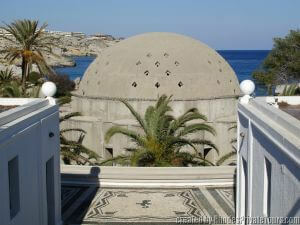 His plans for the Kallithea Thermal Spa were considered among the best architectural compositions of the time. 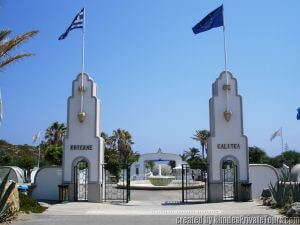 The entrance of Kallithea Spa. 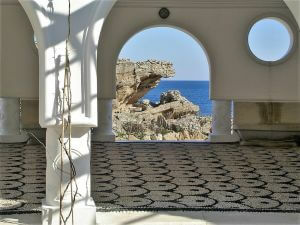 Kallithea baths no longer in operation. 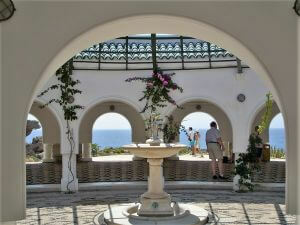 In the centre the Rotunda dominates - an impressive, voluminous dome with intricate decoration. 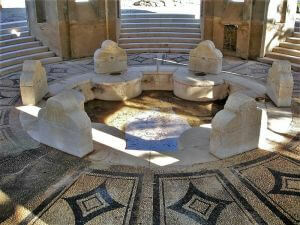 Here are the spa baths of the six springs fed from an equal number of fountain heads. 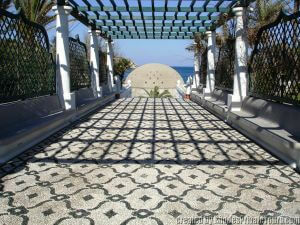 A little path leads to the big Rotonda. 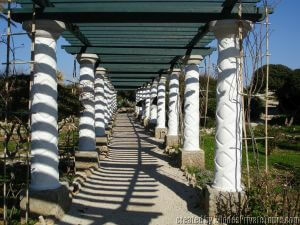 Inside the big Rotonda, Was Natural Therapeutic Springs in Rhodes ( Cultural Monument ). 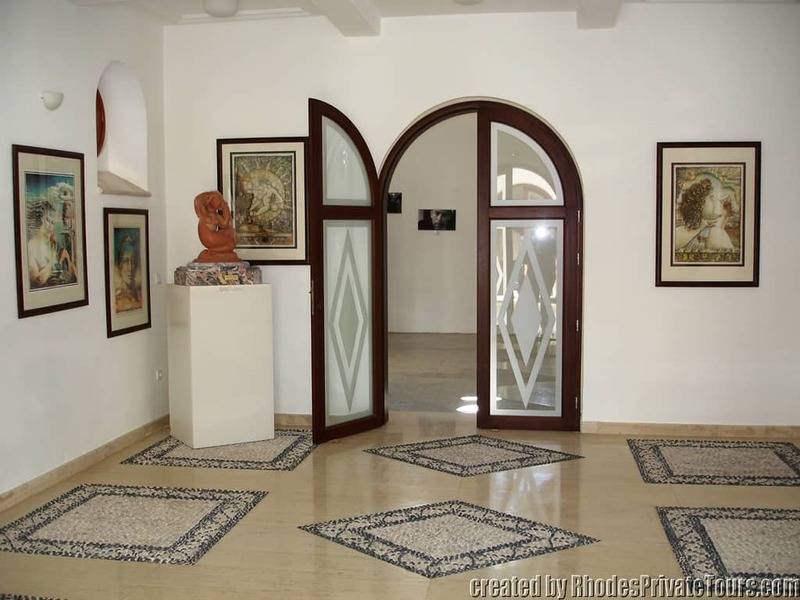 Photos, Paints, and Sculpture exhibitions, from the most famous Artists on the Island.